Physical Therapy is a health care profession dedicated to helping patients improve their quality of life by reducing pain, improving mobility and restoring function. Quality of life is imperative to enjoy pain-free leisure activities and productivity at work. It’s important to feel comfortable with both the facility to which you entrust your care, and your patient to therapist relationship, as you work to rehabilitate your injury. Not every clinic operates in the same way. Some clinic’s business models offer a gym atmosphere, where you are more independent in completing your exercise plan in a wide open environment. Conversely, Align Physical Therapy promotes a ’hands-on’ treatment approach, by promoting the healing process with manual techniques, and directly communicating with their patients in a more personal setting. This approach is particularly important in easing a patient who is unfamiliar with exercise through the rehabilitation process. Align’s physical therapists work one-one-one with each patient to ensure that we are working to achieve your personal goals. To meet these goals, our physical therapists may utilize modalities (like ultrasound), therapeutic exercises, core stabilization, balance challenges, and postural education. Align’s physical therapists strongly believe that the addition of manual therapy will enhance treatment outcomes. In fact, new research has proven that the addition of manual therapy to standard treatment interventions can help patients achieve a better outcome, initially, and offer a longer lasting effect. We believe that education is important, and take the time to explain your condition and the treatments selected. Your symptoms are frequently assessed to ensure that we are making progress toward your goals and meeting your treatment expectations. Once you have recovered from your injury, physical therapists will develop a home exercise plan for you to maintain your progress. Align Physical Therapy also offers general wellness screenings, personal exercise plans, and task modification suggestions to limit the likelihood of injury. 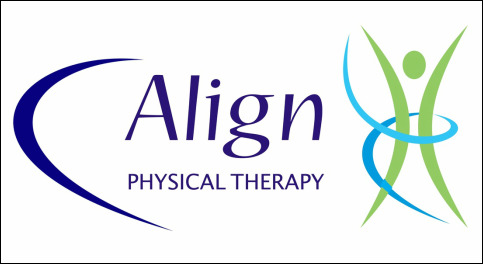 Align Physical Therapy addresses a spectrum of orthopedic conditions, ranging from TMJ disorder, to tendonitis, chronic neck or low back pain, arthritic dysfunction, sports injuries, headaches, balance impairments, post-surgical rehabilitation, gait deviations, rotator cuff tears, and other orthopedic conditions. Lately, there has been exciting research in physical therapy! New research studies have found a high to equal success when comparing physical therapy to surgical interventions that address meniscal tears, rotator cuff tears and degenerative disc disease of the spine. For those of you who are looking to avoid surgery, why not try physical therapy first? Research confirms that in the worst scenario, if physical therapy intervention is able to improve your strength, you would more likely have a faster post-surgical recovery.